SANTIAGO, July 3, 2014 - A person holds a banner during a protest, in Santiago, Chile, on July 3, 2014. 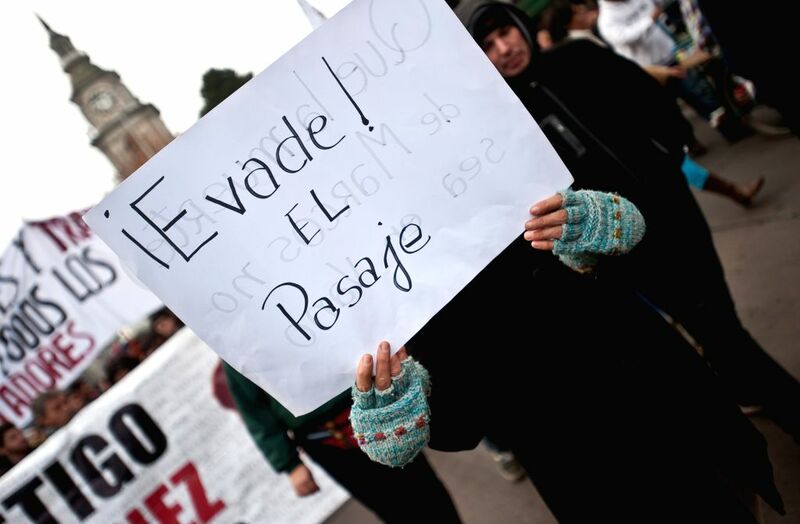 The Coordinator of Workers of the Transantiago called for a rally on Thursday, in the context of a stoppage to ask for better work and security conditions. 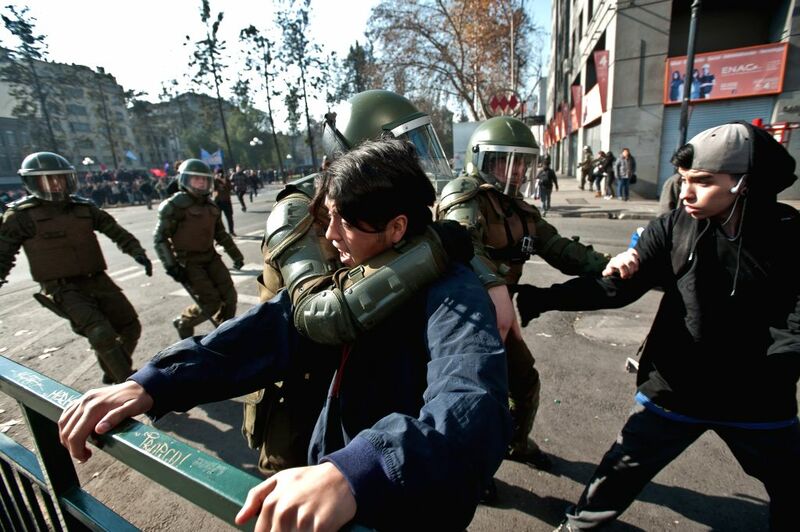 Student leaders of the Students Confederation of Chile and a group of the Coordinating Assembly of Secondary Students also took part in the protest, according to local press.